Jorge Castro, who owns Cantina Tortilla Grill at Birmingham’s Pepper Place, said BRW brings in new customers every year. During the 10-day event, participating restaurants will offer special two- or three-course, prix fixe lunch and/or dinner menus for $10, $15, $20, $30 or $40 per person. Journal photos by Jordan Wald. Russell Hooks has learned it’s wise to pace himself during Birmingham Restaurant Week. He and his wife, Amber, are the founders of Happenin’s in the ’Ham, which uses multiple media platforms to spread news about Birmingham events and activities. They’re also two of the official BRW bloggers. That means from Aug. 11-20, when the annual culinary affair is in full swing, they’ll be eating out. A lot. Hooks, who grew up in Homewood and now lives in the Vestavia Hills-Hoover area, said he and his wife first teamed up with Restaurant Week when they were contacted by REV Birmingham, the economic development organization that organizes the event. “This is our third time to be involved,” Hooks said. “We have a spreadsheet with all the restaurants. We choose our restaurants, go and eat, and then write a review. The reviews are posted by the next day. Now gearing up for its eighth year, BRW celebrates the city’s passion for food, its culinary culture and its love of all things local. During the 10-day event, participating restaurants will offer special two- or three-course, prix fixe lunch and/or dinner menus for $10, $15, $20, $30 or $40 per person. Several menus will include beer or wine flight components, other drink specials and brunch offerings. Visit bhamrestaurantweek.com/top-bites for each restaurant’s menu. This year’s BRW is the largest yet, with 73 eateries already on board and more likely to sign on. 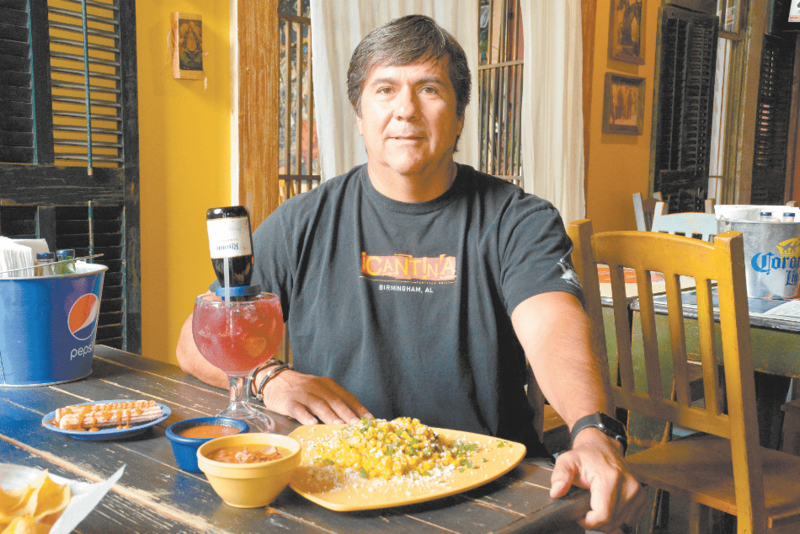 Jorge Castro, who owns Cantina Tortilla Grill at Birmingham’s Pepper Place, said BRW brings in new customers every year. Castro came to Birmingham from Mexico in 2000 and has owned Cantina for 15 years. Castro’s positive experiences with BRW are shared by other participants. During last year’s event, more than 18,000 meals were sold, and there was a 20 percent average increase in restaurant sales compared to a normal week. Jason Powell, who owns Petals from the Past in Jemison, said his company supplies about 11 restaurants with fresh produce. Powell said he also has been working for five years with the Urban Food Project, a REV Birmingham initiative. Money spent during BRW funds each restaurant’s ability to purchase fresh, local ingredients, which, in turn, supports Alabama farmers so they can continue to supply Birmingham with high-quality ingredients. UFP helps make sure these ingredients then make their way back to local grocery stores, corner stores and homes, giving residents access to fresh, local food, especially those who live in food deserts in the Birmingham area. Those involved with the Urban Food Project “are people who are even more passionate about what they’re doing than I am about what I’m doing,” Powell said. Taylor Clark, UFP executive director, said that, while Birmingham has an “awesome” food scene, some residents don’t have access to fresh food. 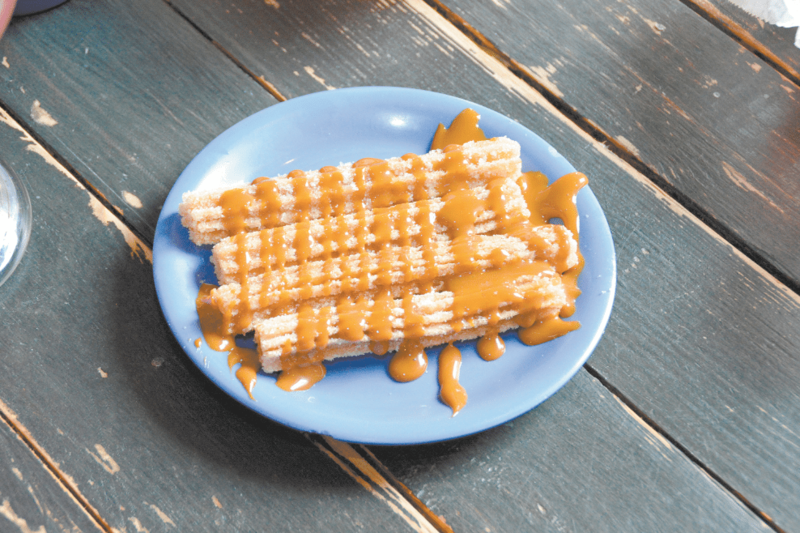 Suzanne Cisneros, general manager for the company’s Birmingham store said Perry’s has put together a BRW menu that combines its most popular dishes with some newer selections. 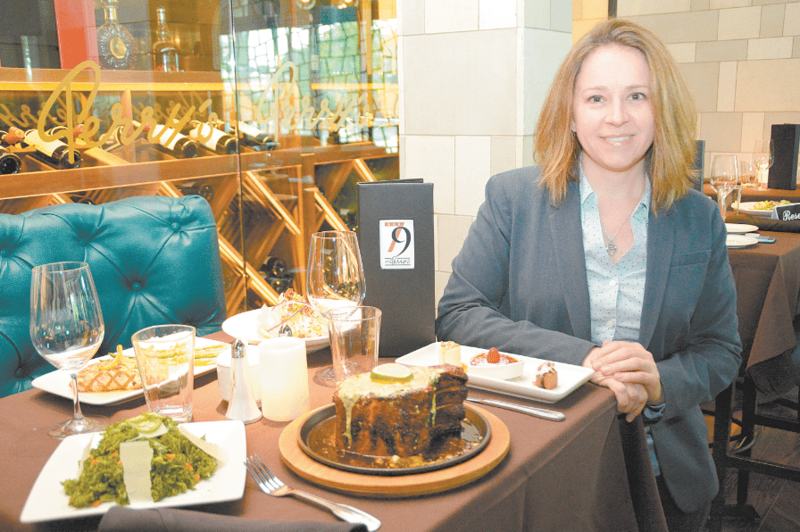 Perry’s Steakhouse at 4 Perimeter Park South made its first BRW appearance last August and participated in Winter Restaurant Week earlier this year, said Suzanne Cisneros, general manager for the company’s Birmingham store. She said Perry’s has put together a BRW menu that combines its most popular dishes with some newer selections. Perry’s three-course $40 dinner includes the choice of a wedge, Caesar or kale salad; the choice of a 6-ounce filet mignon, pork chop or grilled salmon; and a dessert trio of vanilla bean crème brûlée, chocolate crunch and praline cheesecake. Cisneros said Perry’s, which opened its first restaurant in 1979 in Houston as a small meat market and deli, now has 13 locations. It opened in Birmingham in April 2016. “Although Perry’s Steakhouse is still relatively new to the Birmingham food scene, we are so appreciative of our warm welcome and grateful to contribute to and be a part of Birmingham’s acclaimed and growing culinary culture,” she said. BRW 2017 also includes special events, starting with an Aug. 9 preview party at Pickwick Plaza. Wine-o-logy, a wine flight tasting event with food and entertainment, is set for Aug. 16 from 5:30 to 7:30 p.m. at the Wine Loft, 2200 First Ave. North. There’s even a fall event – Harvest Brunch, a family-friendly brunch tasting with live music and samples from local restaurants, Oct. 7 at 5529 1st Ave. South. You can follow Birmingham Restaurant Week on Facebook, Twitter, Instagram and Snapchat. Social media users can interact with BRW by tagging @bhamrestweek and using #BRW2017, the official event hashtag. The BRW Free Food Friday contest on Facebook has begun, allowing some fans to receive gift certificates to a BRW-participating restaurant each Friday. Hungry for more news? BRW also will have frequent email blasts, the BRW blog at bhamrestaurantweek. com and the BRW Mobile Site Dining Guide, which allows users to access information about restaurant participants and their menus. More information about each event also will be on the site, along with a link to make reservations and a tip calcu- lator. Hooks said he and his wife aren’t food critics. “We try to highlight the experience,” he said. He said writing about Birmingham Restaurant Week presents another challenge in addition to the potential for adding extra calories.